My skin and I aren’t exactly pals at the moment. While I’m trying my hardest to give it lots of nice skincare products and water, it’s still being mean and giving me a face full of blemishes. So, as a result, I’ve had to bring out the big guns in the concealer world and go for full coverage to make my face look less like a hormonal teenager. There’s a mix of drugstore and high end here, so lemme break it down for ya. Drugstore | I do love finding a bargain and especially one that works. 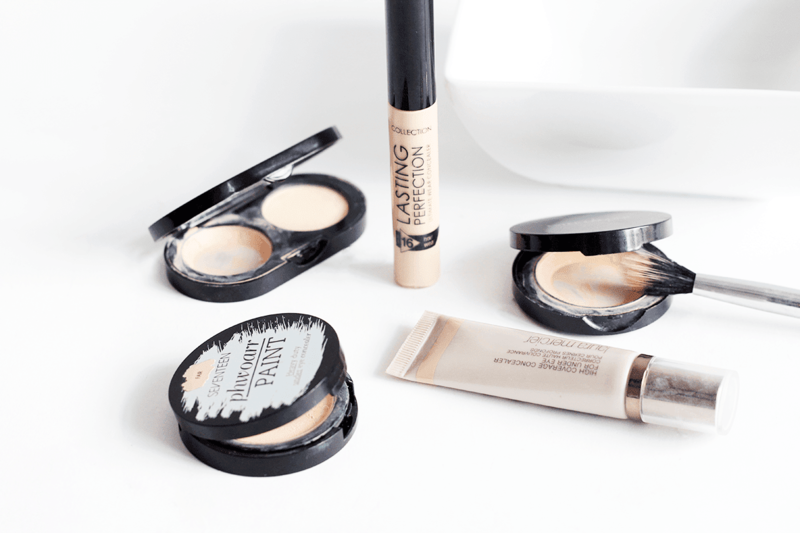 Everyone raves about the Collection Lasting Perfection Concealer and they’d be right to do so. For less than £5, it works miracles at both hiding blemishes and dark circles. It’s not too hard to blend either. If you like your concealer to have a creamy consistency, Seventeen Phwoarr Paint is a good’un for some serious coverage. It takes a little bit more to work into the skin, but it performs like a charm. 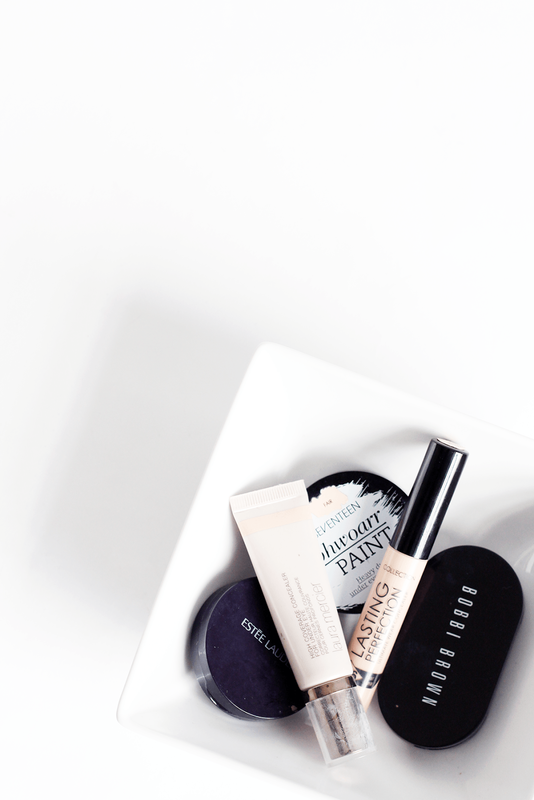 High End | I’ve used the Bobbi Brown Creamy Concealer for yonks now and it gets the job done. It’s not too hard to blend, but really does cover everything when applied. You can get it alone or with a matching powder, too. Similarly to this is the Estee Lauder Double Wear Concealer, another creamy concealer which works fantastically. I’m already a fan of the DW foundation and am pleased to say the concealer works just as effectively! Finally, the one that offers the most coverage is Laura Mercier High Coverage Concealer. This stuff is seriously thick, but melts down quickly and blends fairly easily (with a bit of work) to cover absolutely everything. Spots, scars, dark circles – you name it, it’s gone. What are your favourite concealer? Make sure you’ve entered my USA beauty giveaway, ft Lorac, Tarte and more.